Since the advent of cars, technology has changed significantly. So much so that drivers now face a dilemma when it comes to choosing the right tires. 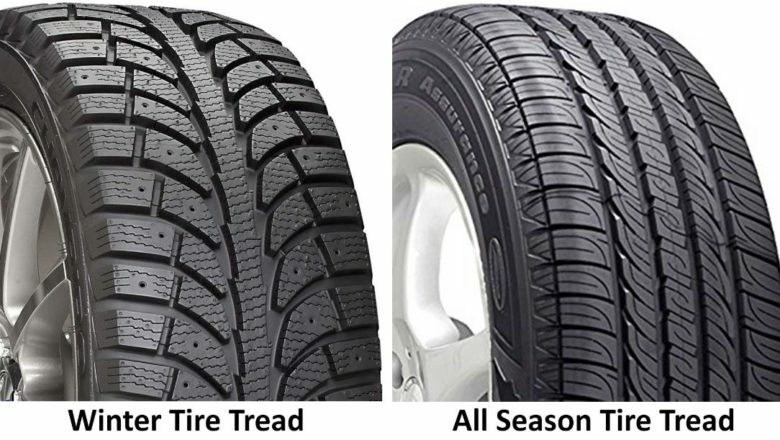 So let’s look at winter tires vs. all season tires, understand the differences and choose the best option. No-season or all-season tires are the jack-of-all-trades of the tire industry. They offer less traction than dedicated summer tires in summer and less traction than winter tires in winter. All weather tires are a notch above all-season tires. They can be left on the car all year, which means fewer changeovers. Wonderful! What Dictates the Need for Winter Tires vs. All Season Tires? There’s much more to the debate between winter tires vs. all season tires than meets the eye. It’s much more than just a money-making gimmick. The rubber used in normal tires hardens when the temperatures drop below the forties, rendering it unable to grip the road surface below. Winter tires and all-season tires have a similar traction in those temperatures, but when it gets even colder, only the winter tire gains its grip. The Star reported a recent test of 19 different tires, including three all-weathers, seven winter tires and nine all-season tires. All-weather tires stopped more than 20% shorter than all-season tires, while the winter tires stopped over 15% shorter than the all-weather tires. All-weather tires offer more stability and sure stopping than winter tires on both dry and wet pavements. Both types handle heavy slush well. All-weather tires also gain a better grip in cold temperatures, thanks to the rubber compounds and the sturdy structure that works well, even in the heat of summer. That makes the all-weather tire the ultimate winner during wintertime. However, all-weather tires may not be the best option for every car during winter, but they work very well for drivers who have to drive on plowed roads often. The strong construction of all-weather tires makes it a good choice for summer driving, as it is typically speed-rated H and higher. The open-tread pattern and tire stiffness makes for a slightly stiffer and noiseir ride during summer. 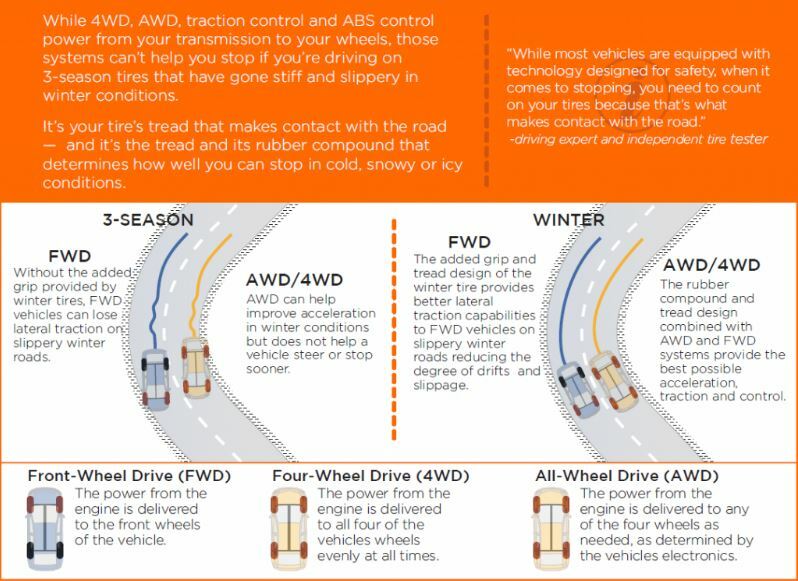 People sometimes think that a four-wheel or all-wheel drive vehicle does not require winter tires, because the vehicle sends power to all four wheels during acceleration. But that’s of no help when it comes to breaking in cold, frozen conditions. When it comes to choosing between winter tires vs. all season tires, it’s important to choose safety above price. Speak to a professional about the best tires for your vehicle and weather conditions, and always install all four of the same tires. Need your vehicle shipped to more sunny climes? Get hold of Nationwide Auto Transportation today.